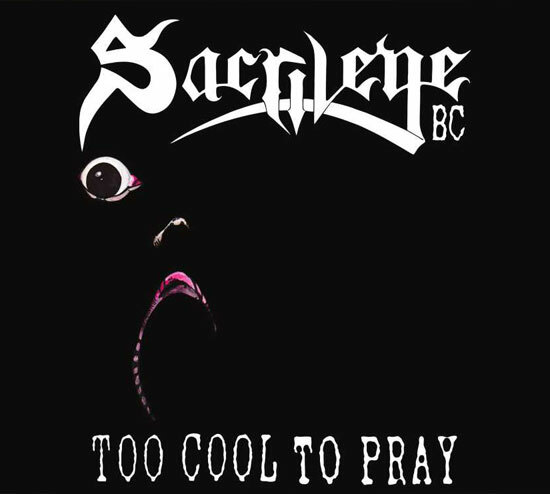 The second album from Berkeley thrash band Sacrilege BC, Too Cool to Pray was originally distributed in 1988 by the legendary Alchemy Records. This new release was remastered from the original tapes preserving the original sound but upgrading the levels for the digital LP. Besides the original 12 tracks this CD also includes the never released 1990 Demo of 5 extra tracks. Sacrilege BC was one of the original crossover thrash bands from the San Francisco Bay Area able to play in both the metal and punk scenes which at the time was unheard of. This is old school thrash.